Apitoxin, also known as bee venom, often referred to as nature’s Botox, is the latest buzz in the world of skin care, and for all the right reasons. Bee venom naturally consists of enzymes, peptides and amino acids that are beneficial to the skin. When bee venom is applied topically, your skin is fooled into believing that you’ve been stung, stimulating the body’s natural healing process, thereby bringing about a plumping and tightening sensation. The production of collagen and elastin proteins in skin decline with age. Loss of these essential skin building blocks results in reduced elasticity and firmness, fine lines, crow’s feet and wrinkles. To make matters even worse, modern day lifestyles, improper diet and polluted environments only accelerate the aging process. Bee venom could prove to be that extra step your skin care regimen needed. 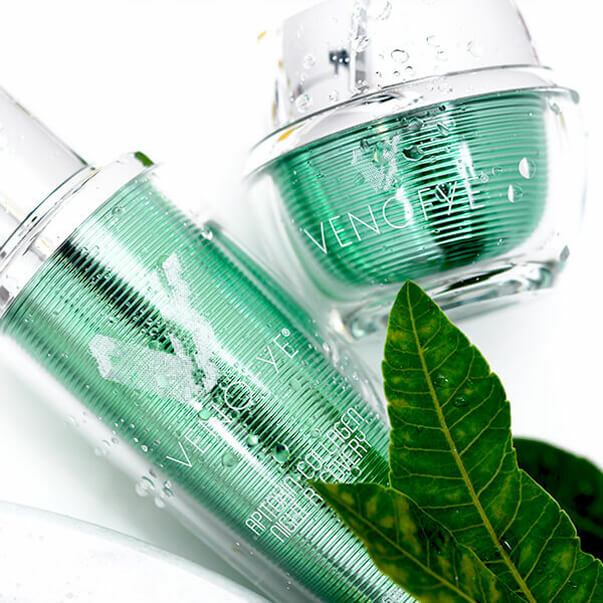 Experts believe that bee venom works by encouraging the production of elastin and collagen, thereby reversing the adverse effects of aging and improving skin smoothness and overall radiance. Our unique product formulations pair bee venom with other high-quality skin care ingredients to help you reach your beauty goals. But What Happens to the Bees? Bee venom skin care products are safe for use on all types of skin. However, if you’re allergic to bees, we highly advise checking with your dermatologist before using such products. A number of international stars and royalty believe in bee venom therapies and products. Kate Middleton reportedly used bee venom treatments before the royal wedding. Famous faces such as Gwenyth Paltrow, Victoria Beckham and Kylie Minogue are also reported fans of bee venom products.